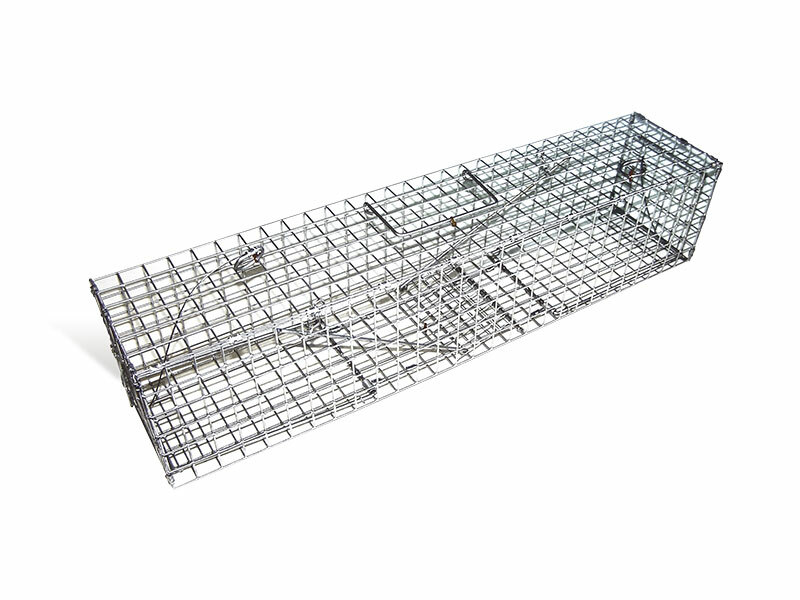 Similar trap to the Standard Squirrel and Mink trap but slightly longer and with a door at both ends. The target species can see a clear exit the other end and therefore enters the trap more readily. Dimensions: 160 mm x 150 mm x 710 mm.